Continuing our discussion about bullying, do you know what to do when you’ve noticed some warning signs? Kids often struggle to speak to their parents or an adult about bullying because they are embarrassed and want to try to deal with it themselves. The first thing to remember is to create a loving, stress-free environment with your child. If they are being bullied, the last thing they need is to come home to an interrogating parent. Try your best to talk them calmly through it and in whatever decisions you make, make sure they are willing and open to at least try. You seem to be so hungry when you come home from school. Have you been eating lunch? I noticed your jacket is ripped. What happened? Is there any reason why you don’t want to take the bus anymore? They may not say much, but often what your child isn’t saying speaks more. Silence is powerful and can mean a lot. Talk to someone they spend a lot of time with. If, after seeing their response to those types of questions, you think you should pursue the matter further, considering who sees them a lot. Perhaps a teacher, athletic coach or a close peer of theirs might have some insight. You can ask them if they’ve noticed any kids your child doesn’t want to be with, if they’ve seen anything happen in the halls or bathroom or if your child seems withdrawn during class or practice. If you can, with their help, figure out when and where your child is bullied, that will be a step forward. If the warning signs continue or intensify, it will only help your child if you reach out for them. Consider teen psychotherapy to help with the effects of bullying and alert any school officials that might be able to put a stop to it. 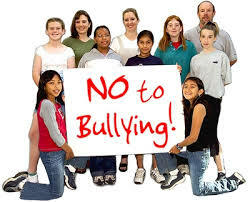 Bullying often has more lasting effects than we think, so the sooner it is stopped, the better! Summer is wrapping up and that means school is starting up again. Do you have a teenager entering high school? Or a child heading back for his last year in elementary school? Whatever the age, it is always a good idea to be on the watch for any bullying your child may be subject to. 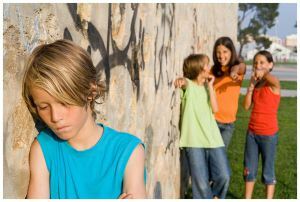 Unfortunately, bullying is more common than most people think and with the amount of unconventional homes on the rise, it can leave kids feeling insecure, teach them how to dominate other kids and many other, troubling behaviors. If your child is displaying any of the following warning signs, pay attention. Every child has an ‘off’ day, but if you start seeing a pattern in their behavior, this may be an indication of bullying. Unexplained cuts, bruises and scrapes or loosing of school supplies, lunches, clothing or money. If you notice these warning signs, it may be time to talk to their teacher, a school counselor or one of their peers to find more information. It also would mean a lot to your child if you give them an extra few minutes of the day to give them the opportunity to open up about what is going on. And do not hesitate to contact your Centennial teen counseling center for any questions or further help! When you hear of someone going to counseling or therapy, a picture of a woman often comes to mind. Although majority of the population that visit a counselor are women, men should not be left out of the picture. Society hands an enormous amount of pressure on the men – providing for his family, handling discipline issues with children, and maintaining healthy communication with his wife. But who is there for them? Talking to someone about your anger management can be the first step to a healthier relationship. Anger is a real feeling and is acceptable to feel. There are healthy and creative ways to manage the angry feelings. When you see or feel your anger is becoming out of control, it may be time to visit Christina Kelly, a psychologist in Denver. Christina specializes in Dialectical behavior Therapy and is willing to talk to you. Contact her at (720) 308-8417 today. You can also look at our other psychologists here. Don’t let anger control your life. In the winter season, those who are depressed or have SAD generally gain weight. It is the opposite in summer. You may find you are not eating as regularly or as often as you did in the spring. If you are always on the go, finding the time to eat regularly is difficult. Try keeping snacks in the car or with you and eat smaller meals every couple of hours. Stress can be a leading factor in how you feel. Worrying about bills and paying for extra summer activities causes stress to build up. Others expectations of a perfect summer can cause a large amount of stress on you. If you find yourself overwhelmed, make a calendar of bill payments, what day of the week is family night, and other commitments. Setting up a small routine can help reduce the stress in your life. Are your continuous thoughts making it difficult to sleep? This is not uncommon in summertime SAD. With a chaotic schedule and the family going in different directions every day, it can be difficult to rest peacefully at night. Writing lists can help de-clutter your mind. Before you go to bed write down what is on your mind and leave it all on the paper. If your symptoms get worse or do not seem to be letting up it may be time to seek out help. South Denver Psychotherapy offers depression counseling and can help you beat the summertime blues. We have the best psychologist in Denver and want to work with you! Stop on by or check us out at http://www.southdenverpsychotherapy.com/ to get your summer started. Typically, teens are characterized by being moody and turbulent. Because of this, it is difficult to distinguish between normal teenage hormones and depression. Depression can cause severe damage, and in some cases even suicide. It is so important to monitor your adolescent! There are some major red flags that every parent should be aware of, and if your teen exhibits multiple signs, it is important to reach out and help them. Excess amounts of time spent alone: Teenagers often like to spend time alone in their room listening to music, writing, etc. In and of itself, this is not a red flag. However, if it becomes excessive, you should take note. For example, missing out on social events, skipping family dinners and being “sick” all the time, are signs that your teen is depressed. Extreme isolation is never a good thing. Frequently engaging in risky behaviors: If your teen is smoking, partying, drinking or engaging in other risky behaviors, of course you are going to be furious. However, realize that there could be something deeper going on. Depressed adolescents have the mentality: “Who cares if this hurts me?” or “Nothing matters anyways, so why not?” Instead of unleashing your wrath, try and create a comforting environment to talk to them. Helping them to open up about their deeper issues can save them. If you think you teen is clinically depressed, don’t think it is something you have to handle on your own. Talk with your teen about counseling. If you give them the choice, teens will often willingly go talk with someone. Once their open and willing, contact South Denver Psychotherapy to set up an appointment! “7 Signs Your Teen May Be Depressed.” The Stir. N.p., n.d. Web. 10 June 2015. South Denver Psychotherapy provides counseling for adult men and women and generally serves the south Denver metropolitan area. We are conveniently located near the corner of South University Boulevard and East Arapahoe Road in S-G Plaza which has close and convenient parking. The address is 2305 E. Arapahoe Road, Suite 242, Centennial, CO 80122. See the Contact Us page for directions. We provide counseling for depression, anxiety, adjustment issues, self esteem, procrastination, truancy, teenage conflicts, teenage anger, communication problems, codependency, relationship issues, marriage counseling, infidelity, sexual dissatisfaction, values clarification, childhood sexual abuse, mid life crisis, menopause, PTSD, Glbt issues, verbal abuse, trauma, anger, couples counseling, help with panic attacks, grief, self esteem, weight management, weight loss, personal growth and other long term mental health issues such as bi-polar, dissociative identity disorder, borderline personality disorder, and narcissistic personality disorder. We are located in Centennial, Colorado and provide psychotherapy service in the South Denver are; to those primarily in Littleton, Englewood, Centennial, Cherry Hills, Greenwood Village, Ken Caryl, Parker, Castle Rock and Highlands Ranch, Colorado.